Two full days in NOLA is definitely not enough time to see all that there is to see and experience all the delicious grub that there is to eat but, I had a food plan dammit, and I was going to stick with it! On day 2 we had a light breakfast at the hotel. Relaxed a bit and headed out to our first dining spot of the day. This spot is known for great seafood and is supposedly the home of the original charbroiled oysters. Yes, so not a fan of oysters in any shape or form but I had heard that their charbroiled oysters were super delicious so I had to be adventurous and try them. I am glad I did. Again, no reservations but we were able to get seated pretty quickly and ordered some rum punch. A fabulous way to get started. …and then there were the charbroiled oysters. 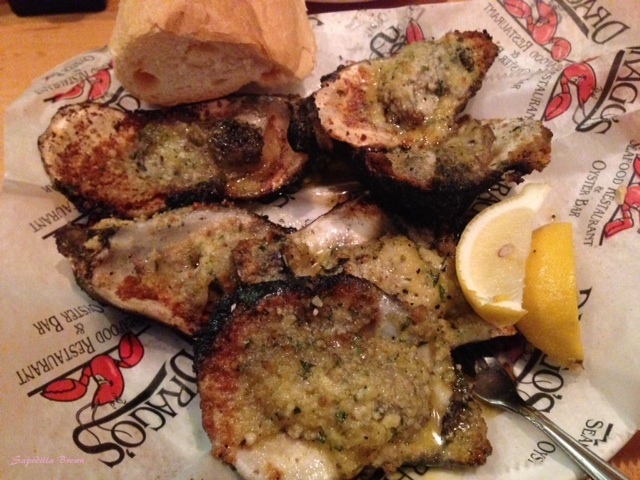 Think herbed breadcrumbs and Parmesan covered oysters broiled to perfection. You can order a dozen or ½ a dozen oysters. 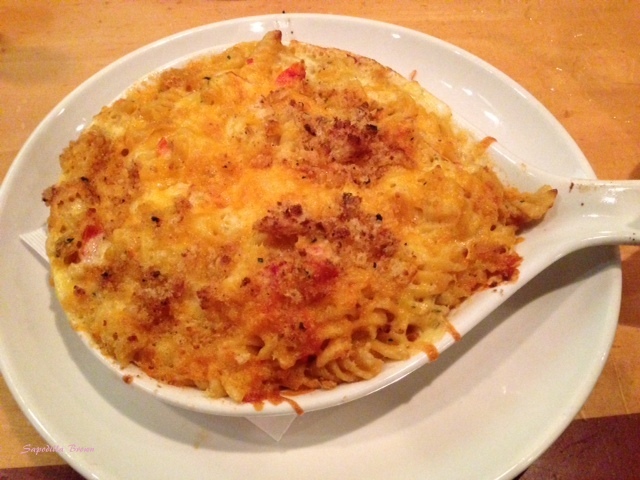 …and who can forget the lobster Mac & cheese! Lip smacking, with large chunks of lobster meat in a creamy cheddar cheese sauce. 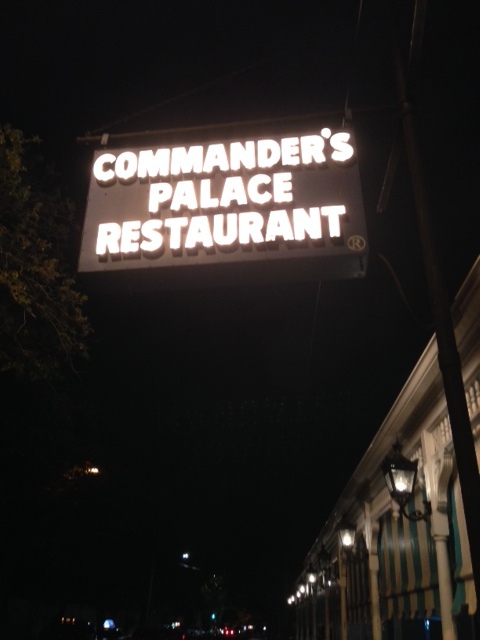 Our final stop on this food excursion was one of New Orleans’ best fine dining establishments, Commanders Palace. They definitely take reservations. In fact, they encourage it! We had a reservation for 8:30 pm, got dolled up and headed out. Our hotel was nice enough to hook us up with a driver for the rest of our stay. Commanders Palace is located in the Garden City and has been around since 1880. They have great food and great service. I found the staff to be very attentive. 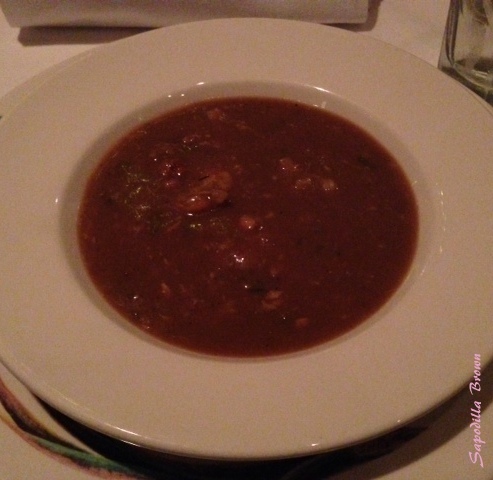 To kick dinner off, we ordered the gumbo. 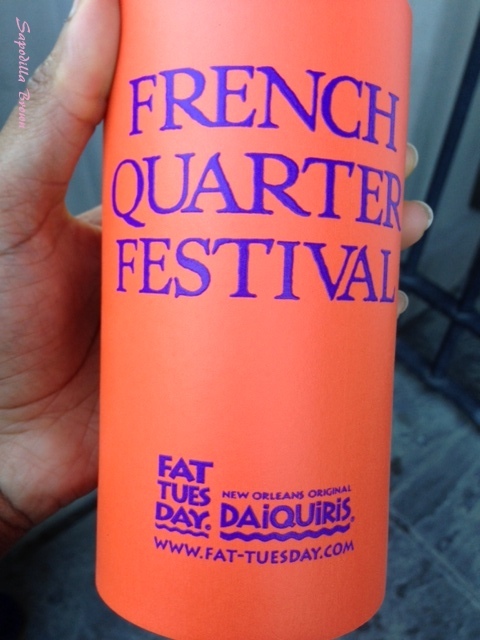 I really wanted to try it because I did not have time to try gumbo anywhere else and it was my last night in the city. 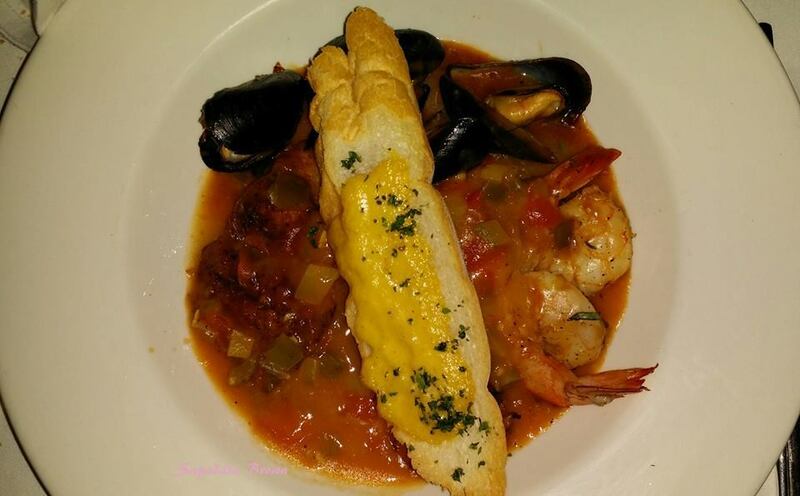 Main courses included the creole seafood bouillabaisse which was creole spiced Gulf fish, wild shrimp, oysters, & fresh mussels with toasted garlic, ripped basil, rouille crouton, and Creole tomato court bouillon sauce. And this…I can’t remember the name of the dish. Their menu changes often so I could not even look it up. What I can tell you, is that it was delicious. 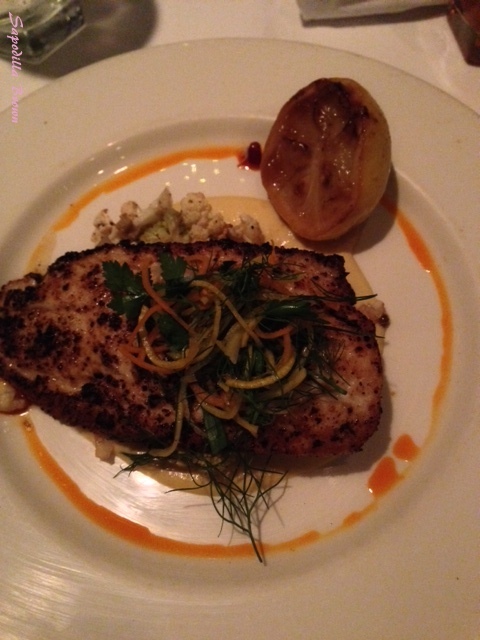 There was the fish (not gulf fish) cauliflower, mashed potatoes and truffle oil. 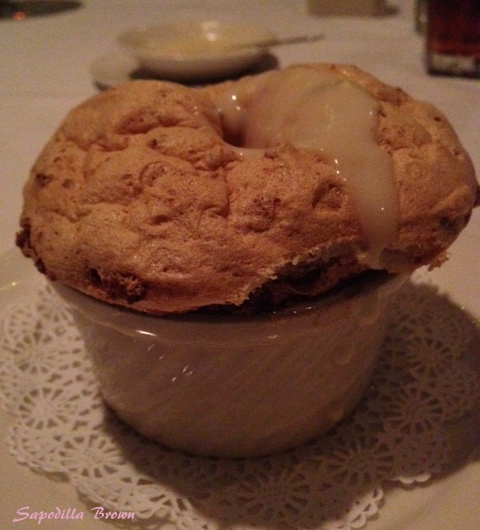 And last but not least was the famous bread pudding soufflé. It was indeed light and airy. The winner is Mr. B’s, don’t let the presentation fool you. That bread pudding was off the chain. I loved the consistency and how it almost melted in your mouth. Willie Mae’s took the prize for uniqueness. 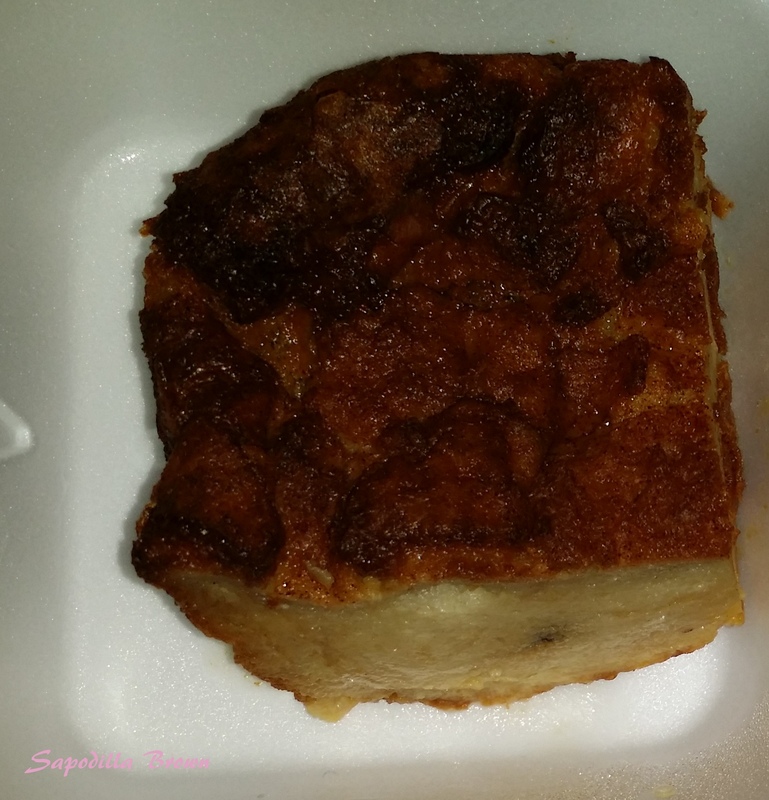 It did not look like your regular everyday bread pudding. I do think that they added a tad too much nutmeg. It was the most dominant flavor. 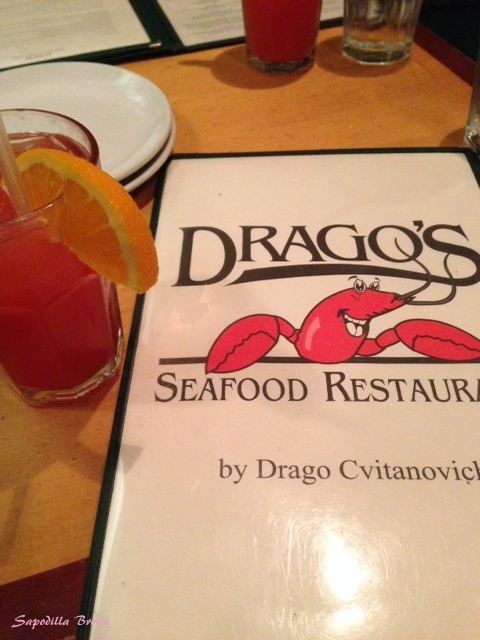 Drago’s was like the bread pudding your grandmother would make. Commanders palace took the prize for technique and presentation. If you want to try the bread pudding they encourage you to order it way in advance because it takes some time to make. 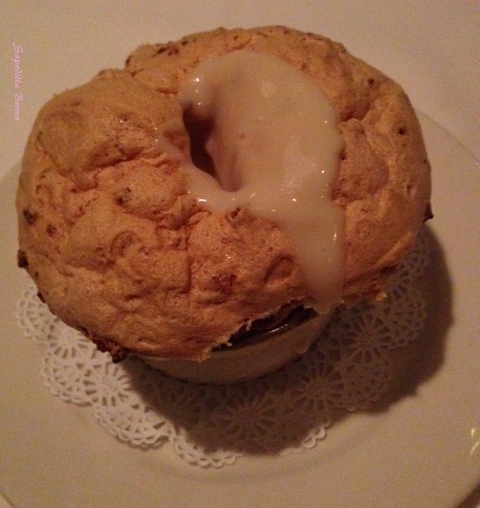 The soufflé was good and I would recommend it, however if you like a heartier bread pudding with a little more substance to it you might want to try some of their other desserts. Overall, this was a great trip. The city is so vibrant, the people are genuine and welcoming and the food is absolutely awesome. I will most certainly be back!